An illegal alien is facing his sixth deportation after a third conviction for driving under the influence. 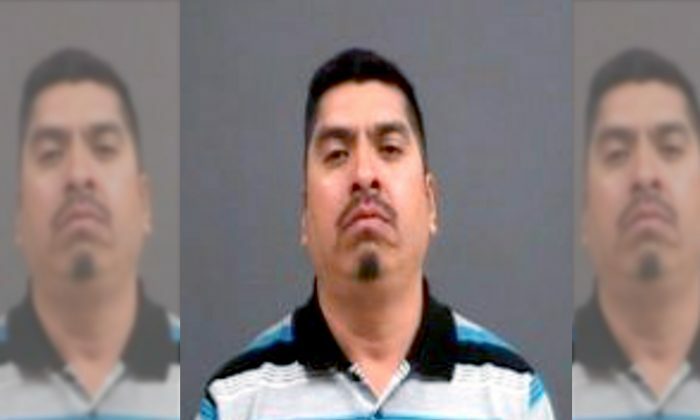 Mario Santos-Ochoa was pulled over on Nov. 4 after he made a sudden lane change in front of a Chesterfield County, Virginia, police officer. The officer had to slam the brakes to avoid a collision, Richmond Times-Dispatch reported. Police discovered Santos-Ochoa was driving with a blood-alcohol level over the legal limit. Despite facing five years each for felony DUI, and felony identity fraud after showing a false I.D. to police, Santos-Ochoa was sentenced on July 30 to only nine months in prison and a $1,000 fine. He would be deported afterward due to an ICE detainer, according to the Times-Dispatch. Santos-Ochoa, 44, has lived in the United States illegally for 28 years. Every time he was deported he managed to come back illegally. Santos-Ochoa’s attorney tried to sway the court by mentioning the mild nature of Santos-Ochoa’s previous offenses. She also attempted to frame him as a hard-working family man. “His record has to do with alcohol and illegal re-entry,” said attorney Catherine Lawler, via Richmond Times-Dispatch. Lawler also said that Santos-Ochoa doesn’t have an alcohol problem, and that his drinking can be attributed to differences in culture, Times-Dispatch reported. Besides the three DUI convictions, he was convicted three times in Texas for reentry after being deported, plus convictions for giving a false identity to police. Santos-Ochoa also has four children in the United States, all U.S. citizens ranging in age from 9 to 21. The judge warned Santos-Ochoa in court that if he enters the United States again, he’ll need to stay in prison for the remaining length of the sentence: nine years and three months.